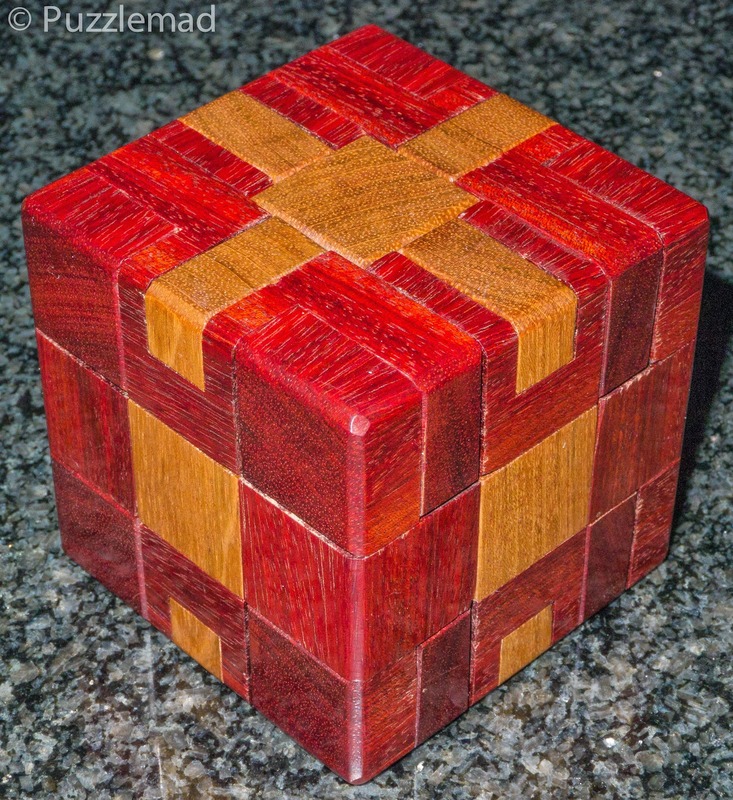 I cannot resist anything from Jerry MacFarland - his workmanship is superb and the finish on his puzzles is wonderful. This is Pin cube #1 and is a sort of prototype but it looks and works perfectly. It's not at all difficult to solve but it is very clever. Made from Bloodwood and Jatoba.